After a year on the road, a local food truck is settling into a vacant Lakeside storefront. Pulp Fiction RVA, a mobile operation that launched in 2018 serving smoothies, juices, salads and wraps, is preparing to open a cafe at 5411 Lakeside Ave. 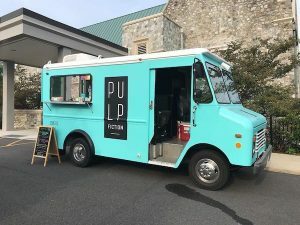 Dubbed Pulp Fiction Lakeside, the cafe will offer coffee, bagels and other to-go foods out of the space that most recently was occupied by Early Bird Biscuit Co. Owner Ruslana Remennikova said she was motivated to start Pulp Fiction after training for and completing an Ironman triathlon in Australia, in honor of her father, who died less than a week after they completed an Olympic-length triathlon together in 2017. She said she wanted to commemorate his life by pushing the race even further by doing an Ironman the next year. “I found (an Ironman) in Australia, and I took that whole year to train while I was grieving my father,” she said, adding that while she trained, she found herself constantly drinking smoothies to replenish calories and supplement nutrition. She returned from Australia and went back to work as a chemist for a pharmaceutical contracting company. But she became restless. Last year she left her job to start the food truck full time. Now she’s giving Pulp Fiction a brick-and-mortar presence with slightly different offerings. 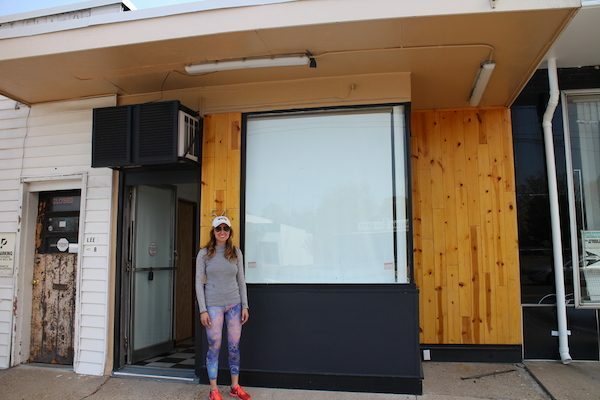 Remennikova said the roughly 420-square-foot space will be mostly grab-and-go with coffee from a to-be-named roaster, plus pastries and bagels from New York City-based bagel joint Davidovich Bakery. “I figured I could take this beautiful little spot in Lakeside and give it a go … I’ll have a select amount of smoothies, but for the most part it’ll be coffee and to-go food,” she said. Remennikova said she’s looking to open the cafe in June. The Pulp Fiction food truck will remain operational. The Lakeside space has been vacant since Early Bird left for the Fan in 2016, though the bakery returned to the area with a second shop in Bellevue in 2017.